The Commissioner of Nassau County’s Health Department, recently reported that the 1st human case of West Nile Virus has been confirmed in Nassau County. Below please find the Commissioner’s news release as well as tips on preventing the spread of mosquitoes and West Nile. Nassau County Department of Health is reporting the first confirmed case of West Nile virus (WNV) in a Nassau County resident this year. This is the first human case of West Nile virus in Nassau County and in New York State in 2010. The individual is a 66-year-old female who resides in New Hyde Park. Her symptoms include headache, weakness, fever and blurry vision. She became ill on July 5th, and is resting at home. 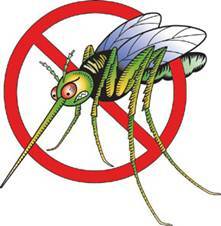 Most people who are infected with WNV will not have any type of illness. About one in 150 people infected with WNV will develop severe illness. The severe symptoms can include high fever, headache, neck stiffness, stupor, disorientation, coma, tremors, convulsions, muscle weakness, vision loss, numbness and paralysis. These symptoms may last several weeks, and neurological effects may be permanent. Up to 20 percent of the people who become infected have symptoms such as fever, headache, and body aches, nausea, vomiting, and sometimes swollen lymph glands or a skin rash on the chest, stomach and back. Symptoms can last for as short as a few days, though even healthy people have become sick for several weeks. Approximately 80 percent of people who are infected with WNV will not show any symptoms at all. To date, seven (7) mosquito pools have tested positive for West Nile virus in Nassau County this year. Nassau County Departments of Health and Public Works will continue their mosquito control efforts by inspecting breeding sites and, when necessary, applying larvicide. Mosquito surveillance will continue at 42 trap sites located throughout the County, and will be intensified in the New Hyde Park, Valley Stream, Massapequa, Merrick, Wantagh, Westbury and Bethpage areas. Also, Nassau County is now making preparations for possible ground spraying in targeted areas of the County. --Remove or empty standing water from children’s outdoor toys, flower pots, garbage cans, pails, old tires, or any object that can hold water. --Make sure roof gutters drain properly; clean clogged gutters in the spring and fall. --Keep swimming pools chlorinated and their covers free of stagnant water. --Change the water in birdbaths every two or three days. --Install window and door screens and keep them in good repair. --Consider wearing long sleeves, pants, socks and mosquito repellent (according to directions) if outdoors when mosquitoes are active, especially in the late afternoon and evening hours. --Decorative ponds and water features should be circulated or chlorinated if they do not contain fish to prevent mosquito breeding. For mosquito, stagnant water, or drainage problems, call the Nassau County Department of Public Works at: (516) 572-1166, weekdays from 7:45 am to 3:30 pm. Nassau County Department of Health at: (516) 227-9700.